Bvlgari Man by Bvlgari is a oriental woody fragrance for men. 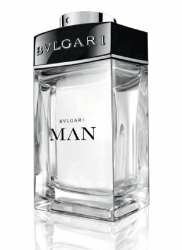 Bvlgari Man is a new fragrance and it was introduced in 2010. The nose behind this fragrance is Alberto Morillas. Top notes are lotus, bergamote and violet leaf; middle notes are vetyver, woodsy notes and sandalwood; base notes are cashmere wood, benzoin, white honey, amber and musk.